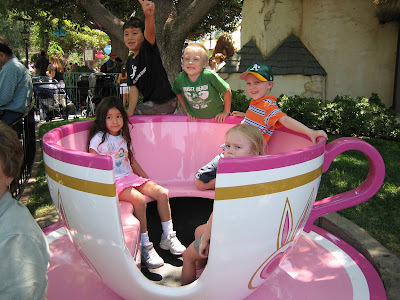 On Thursday we took the kids to Disneyland with all their Riggs cousins, grandparents, and a few aunts and uncles too. 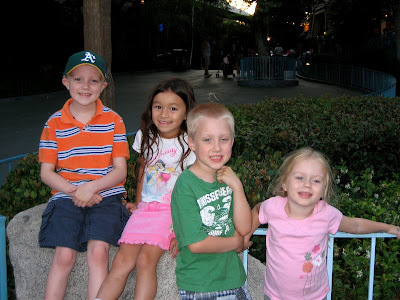 The Four Amigos! 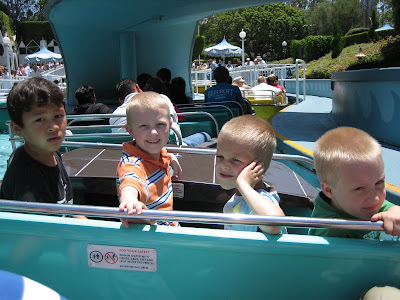 James, Andrew, Bentley and Ethan had lots of fun together. 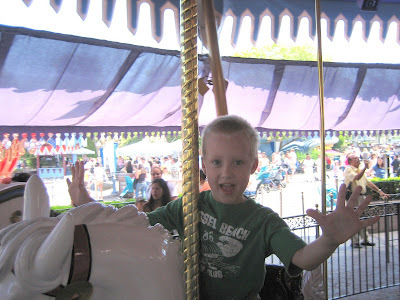 They rode on lots of rides together, and as the older boys, had fun with the men-folk on the roller coasters! so later in the day we went back and rode again. 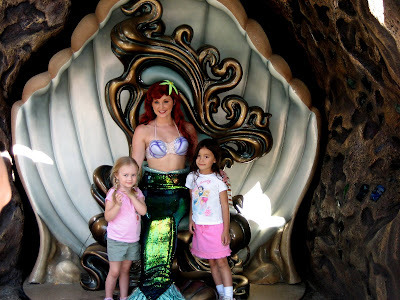 Emma and Emily got to meet Ariel again. 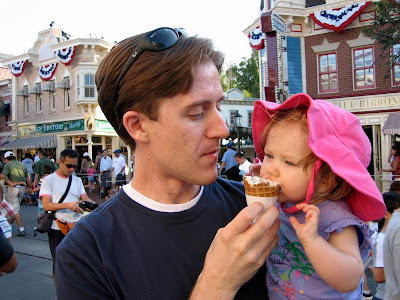 Sophie decided she really liked Daddy's ice cream! After a long day, the kiddos are still ready for action! Sophie looks so cute eating Daddy's ice cream cone. Oh, I want copies! James looks just thrilled to be on a small world doesn't he?